Labor takes top spot from Likud, Shas no stronger despite Deri's much-vaunted return. The latest "Panels Politics" poll conducted by the Knesset Channel shows the Labor party edging back into first place position with 24 seats, were elections to be held today. The results were released today (Tuesday), as some 50,000 Labor party members head to the polls in their party's primaries, to decide on the list of candidates to stand in general elections this coming March. In second place and nipping at its heals is the Likud party, with 23 seats. The results appear to illustrate that a surge in support for Likud following the party's own primary elections has now ebbed somewhat. Once again polling in third place is the Jewish Home party, whose primaries will also be held this week, with 16 seats. That represents a slight improvement on a poll released on Monday, which gave the party 15 seats, and demonstrates the party's resilience despite a week of concerted attacks against the party by left-wing critics. On fourth place and also improving since Monday's poll is the Yesh Atid party with 12 seats, followed by Moshe Kahlon's Kulanu party with nine seats - down from 10 in yesterday's poll. Monday's poll - which gave the two rival "centrist" parties 10 seats each - illustrated how the two parties were essentially competing for the same pool of voters; today's results appear to show Yesh Atid as having the upper hand. Sixth and seventh place are held by Yisrael Beytenu and United Torah Judaism (UTJ), with seven seats apiece. It is worth noting that Yisrael Beytenu's position appears to have been unshaken despite the resignation of senior MK Faina Kirshenbaum. Eighth place was taken by Shas with a disappointing six seats despite the much-trumpeted (though unsurprising) return of party leader Aryeh Deri. The far-left Meretz party took ninth place, also with six seats. Tenth and eleventh place were taken by the far-left Hadash party and Islamist United Arab List respectively, with five seats each. 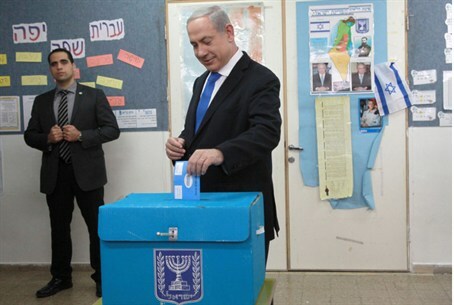 The right-wing "Yachad - Ha'am Itanu" and Otzma Yehudit parties, along with the Arab nationalist Balad party and the Green Leaf party, did not pass the threshold in the poll if they ran separately. However, if Otzma Yehudit and Ha'am Itanu were to run on a joint list, the poll found them gaining between four and five mandates and entering the next Knesset.